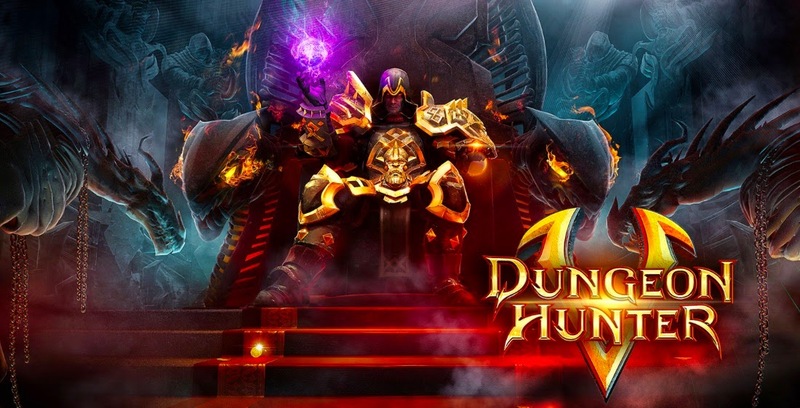 Dungeon Hunter 5 - continuation of the legendary games of the genre slashers from the eminent manufacturer. In this game you go into the kingdom of Valentia, was attacked by terrible demons and destroy the world around you. You as a brave warrior decides to stop the war and to return all on former places. Participate in exciting single company, traveling to five kingdoms fighting countless enemies and become the most famous bounty hunter. Multiplayer game where you can play together with your friends by choosing this option, you will add a lot of different opportunities to build and protect their fortress, creating more than 46 150 types of armor and swords. In this game you will be able to master the five elements of water, fire, light and darkness, becoming more challenging monsters, demons and dragons. This exciting game will take you into a world of fantasy where you can enjoy excellent graphics and exciting action. Support installation on an external SD card: no.